With each year, surrogacy is increasingly more commonly used by couples to resolve problems arising from reproductive dysfunctions of different types, which lead to impossibility to conceive and give birth to a child in a natural way. It is not surprising that in today's day and age, progressive parents turn to science to help them build a family. Fortunately, Ukraine is a very liberal country in this regard. Below we analyze the current situation with surrogacy in Ukraine from both practical and legal viewpoints. The first surrogate pregnancy took place in Ukraine in 1991, but detailed statistics reporting the number of children conceived artificially by surrogate mothers are practically unavailable. Clinics do not disclose this information, referring to medical confidentiality principle. The issues of legal support and protection of rights of children born to surrogate mothers are supervised by the Ukrainian Association of Reproductive Medicine. The largest medical institution for artificial insemination and additional medical care is the Kharkiv Center for Surrogate Motherhood. Similar centers of smaller scale are situated throughout the country, around 20 in number. First, we must distinguish between two types of surrogate motherhood: the so-called"traditional" and extracorporeal insemination (in vitro). In the former case, the surrogate mother is a genetic mother of the child, insemination can be either natural or artificial, and the surrogate mother delivers the child to its genetic father and another woman, who lacks of some or all reproductive abilities. In contrast, extracorporeal insemination requires the use of genetic material of both future parents, insemination is carried out artificially, and the impregnated embryo is planted into the surrogate mother's body. This way, the surrogate mother will have no genetic relation to the child at all. Presently, only the second method is employed in Ukraine, and the following discussion will be based solely on it. Immediately below we explore the legal background regulating the employment of artificial motherhood and related issues, such as rights and obligations of genetic parents, legal relations between the parents and the surrogate mother, as well as between the parents and the medical institution carrying out the procedure, defining the parental rights for the future child, and the right of all involved parties to confidentiality concerning the child's origin. As a general rule, surrogate motherhood is legally permitted in Ukraine, and is commonly employed by foreign citizens. 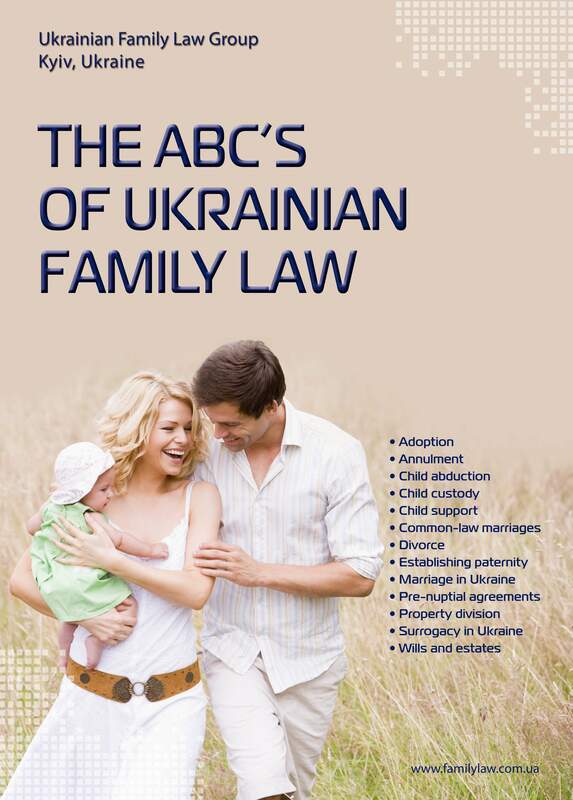 The founding legislative act in this sphere is the Family Code of Ukraine, which guarantees all citizens an unimpeded realization of their right to parenthood. In particular, Article 123 of the Code defines the principles according to which the State Bodies for Registration of Civil Status Acts decide who should be considered the child's parents in cases of artificial insemination and embryo implantation. Part 2 of the above Article clearly states that in case of embryo implantation into the body of another woman, the couple who provided the genetic material for the embryo is considered to be the child's parents. This means that surrogate mother has no legal claims against the lawful parents. Please note this is in sharp contrast with the laws of the Russian Federation and many other countries, which allow surrogate mother to keep the child after its birth, regardless of any previous agreements. General procedure is provided by the Order #24 of the Ministry of Health Care"On Approval of Conditions and Order of Employment of Artificial Insemination and Implantation of Embryo(s), and Methods of Their Performance", dated February 4, 1997 ("Order"). Other legislative acts include the Orders of the Ministry of Health Care #489 "On Approval of Statistic Documentation on Issues of Ancillary Reproductive Technologies", dated December 10, 2001, and #579 "On Approval of Order of Assigning Women for Performance of the First Course of Infertility Treatment by Methods of Ancillary Reproductive Technologies on Absolute Grounds for Budget Costs". Together, these laws outline detailed medical procedure of artificial insemination and embryo implantation. Its general provisions require artificial insemination to be carried out solely in specially accredited medical institutions in accordance with the methods approved by the Ministry of Health Care of Ukraine. It also defines the scope of information that should be provided by the doctor, who carries out the procedure, to the couple seeking medical assistance, namely: the details of the medical procedure of artificial insemination, medical and legal aspects of its consequences, and the results of medical examination of the future surrogate mother. (h) confidentiality provisions (responsibility for disclosure of information to the child or any third party). (d) confidentiality provisions (responsibility for disclosure of information to the child or any third party). In most cases, medical institutions provide their draft agreements both for themselves and surrogate mothers. It is important to carefully review these drafts and insist on your amendments if the provided draft does not ensure genetic parents' rights to the full extent. For example, in agreement with a medical institution one can often find a provision that the parents agree not to submit any legal claims against the institution. This provision contradicts one of the basic principles of civil agreements, stated in Article 3 of the Civil Procedural Code of Ukraine, namely, waiving the right to protect your interests in court. In conclusion, due to the balanced combination of legal acceptability, high qualification of medical staff, comparatively low prices and unparalleled qualities of Ukrainian women, who are ready to assist others in their search of personal happiness, Ukraine provides unique possibilities for couples from all over the world to realize their parental rights. To take advantage of all this, however, one needs to take certain minimum precaution measures, in co-operation with a reliable local lawyer, who is aware of the pitfalls.